Sisters who live in Dundee, Oregon contacted me because I’m a Certified Aging-in-Place Specialist, although they didn’t know what I could do for them before our first meeting. I learned that one of the sisters was willing to dedicate a portion of her home’s property for a new accessory dwelling unit (ADU) for their parents. Their father has been living with Parkinson’s Disease for several years, and his wife can no longer take care of him in their San Diego home. They had explored alternatives and decided that building an ADU would be the best solution, but they didn’t know about anything that might be involved in getting the ADU built. Fortunately, the City of Dundee was in the process of creating land-use regulations for ADU’s. We hoped that this would speed the permit approval process. I attended Planning Commission and City Council meetings as an advocate for quality-of-life issues and accessibility for elderly and disabled people. If adopted, the regulations would limit the size of an ADU to a maximum of 800 square feet. I provided plans with documentation about the space required for wheelchair mobility, and made a case for increasing the size of ADU’s to 900 square feet, which would allow a small guest bedroom and combination guest bathroom and laundry room. So, we proceeded with the plans and my clients engaged a structural engineer to prepare the framing details and required calculations for the new structure. The plans were approved and my clients hired a contractor who prepared a detailed estimate. (Did you recommend the contractor? If not, how did they find him/her? The sisters moved their parents to Dundee so the home in San Diego could be sold and the money could be used to fund the ADU. We are all hoping that their parents’ home will sell. The 897-square-foot ADU is scheduled for construction in 2019. 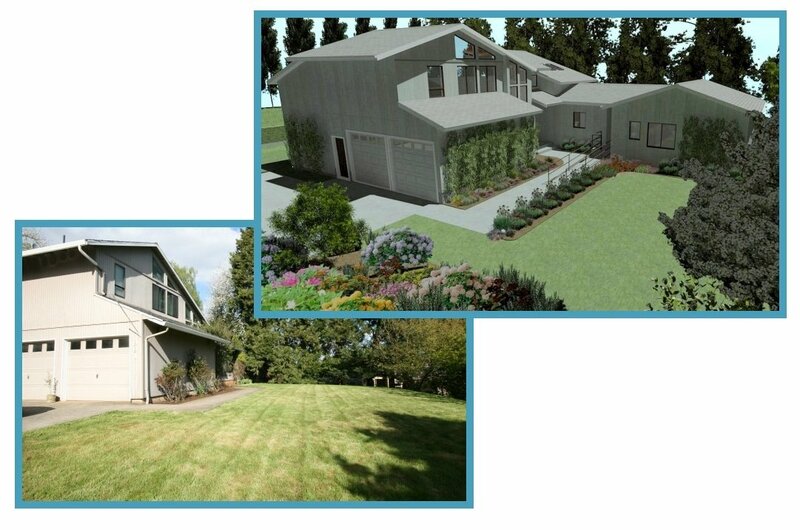 If you are considering an ADU or wondering how to create an accessory dwelling unit for family use or rental, I can help you. If you want to stay in your home and make it accessible, I can provide you with the information you need to make it livable and safe while maintaining the feel and look of your home. Call me today, so we can chat about your needs!